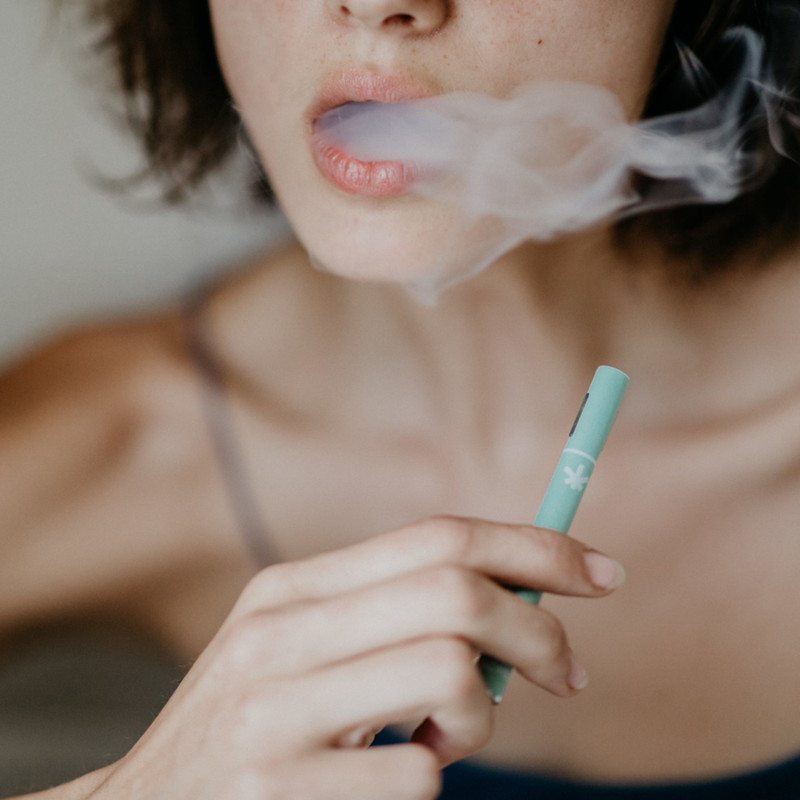 Our disposable CBD+ vaporizers provide fast, safe and effective delivery of cannabinoids. Built using patented technology, these pens are smart and easy to use. Packed with pure CBD oil and combined with up to 20 different powerful essential oils for added benefit. Use anywhere, anytime. 500mg of CBD+ formulation containing 150mg of CBD. Formulated with highly-concentrated CBD oil and all-natural essential oils. Delicious rich aroma of terpenes, minimal in odor. Leak-proof so you can carry it anywhere worry-free. All natural only CO2 extracted CBD. Ingredients: Vegetable glycerin, Full-spectrum CBD oil, CBD crystalline, Essential oils (Lavender, Peppermint, Spearmint), Polysorbate, Glycerol stearate, Soy lecithin. Suggested Usage: Start with a full 5-second draw until the LED light at the tip of the pen flashes to gauge your dosage. Smoke as much or as little as you want.